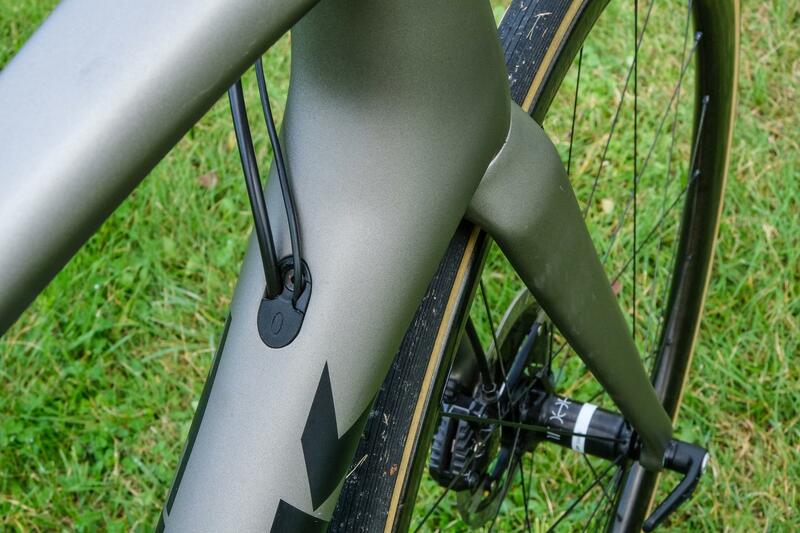 The 2018 Trek Emonda SLR is one of the lightest production bikes in the world, and it's now available with disc brakes. 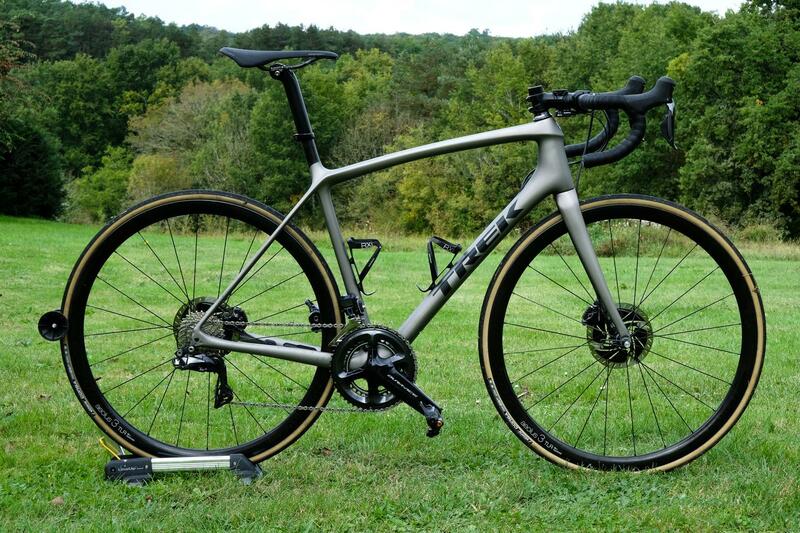 Previously disc brakes have meant a weight penalty on road bikes, but Trek has poured all of its engineering know-how into this new platform, and helped by the latest Dura-Ace groupset, has produced a 56cm bike that weighs just 6.7kg. 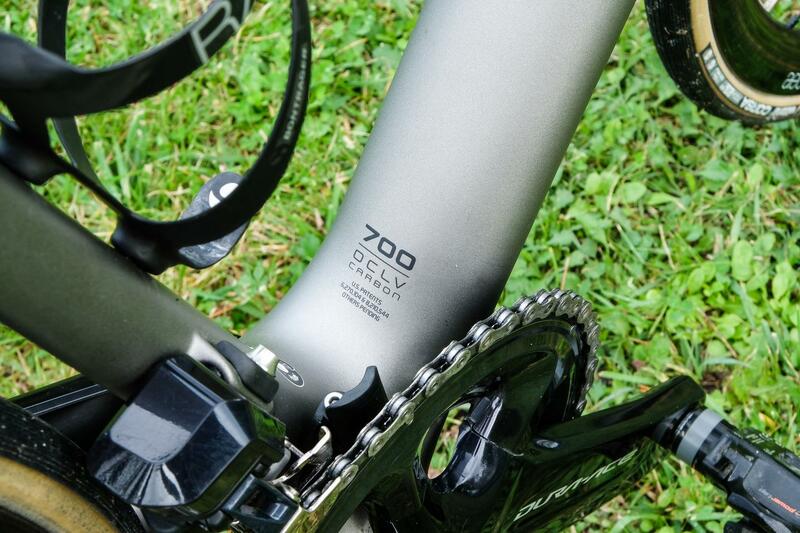 It's the lightest disc-equipped road bike I've ever ridden, and by some measure. 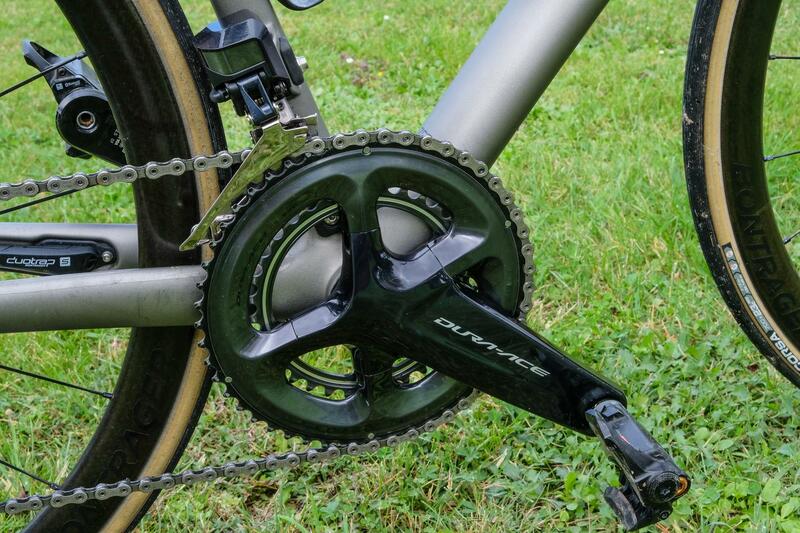 And truly for the first time, the choice of braking system can be removed from the list of pros and cons when choosing a new lightweight race and high-performance bike. 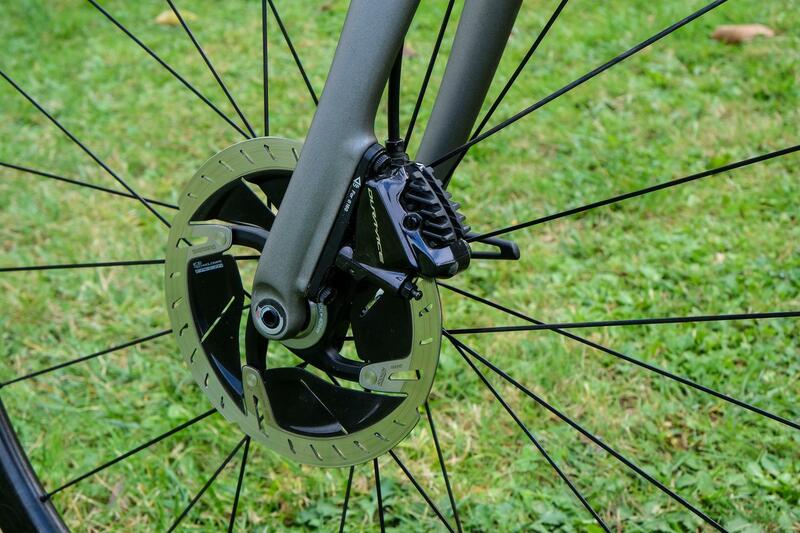 Disc brakes have been popular in the UK with cyclists that want dependable braking year round in all weathers, but for summer use or riding in the mountains, lightweight rim brake bikes have still been the preferred option. Discs for rain and winter, and rim brakes for summer and mountains. I decided to challenge that theory by riding the Emonda SLR Disc in the recent Haute Route Ventoux, a three-day race up the iconic climb in the south of France. And not once did I question my decision. I actually had an epiphany riding the Emonda in this event. 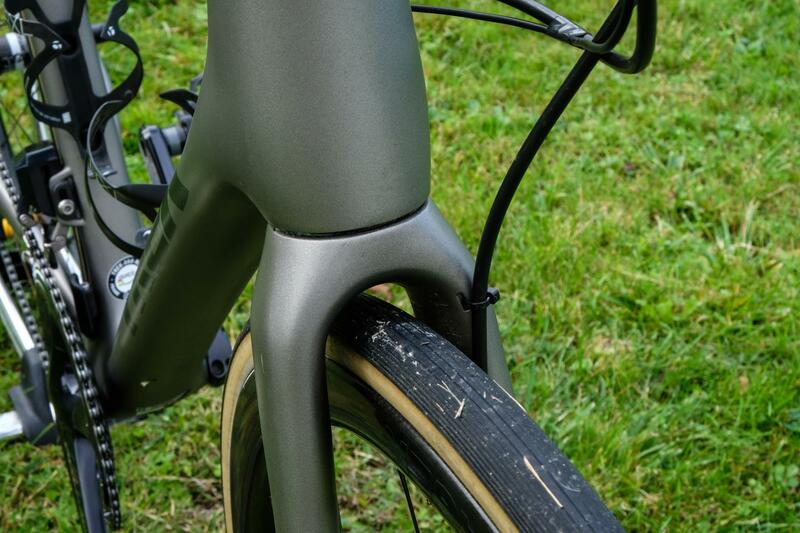 You see, for the first time here is a bike that allows you to benefit from the greater braking performance of hydraulic disc brakes with none of the previous downsides. 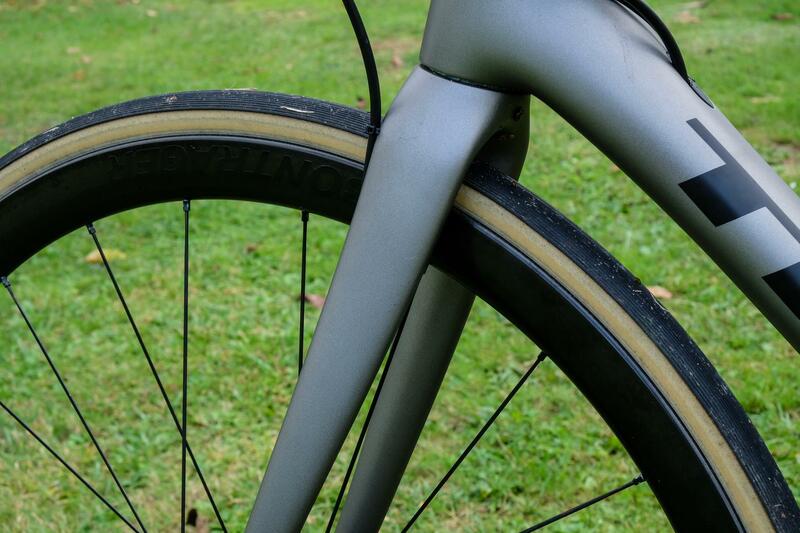 Okay, so the rim brake version of the Emonda SLR is going to be lighter still, but 6.7kg can hardly be considered heavy. I never felt handicapped riding up Mont Ventoux on the Emonda SLR, and I was definitely more comfortable and confident on the descents. It was light enough that I couldn't blame the bike for my slow progress on the steep slopes of this iconic climb, it was not at all draggy and reluctant. And when we turned around at the top and headed back down, boy does the handling of the Emonda SLR shine through. It's a real gem through the corners. It's so planted through high-speed corners and the stiffness of the frame and fork ensures it tracks really cleanly. If you enjoy descending, you'll find a great companion in the Trek. It has a nice balance of agility and sure-footed confidence. 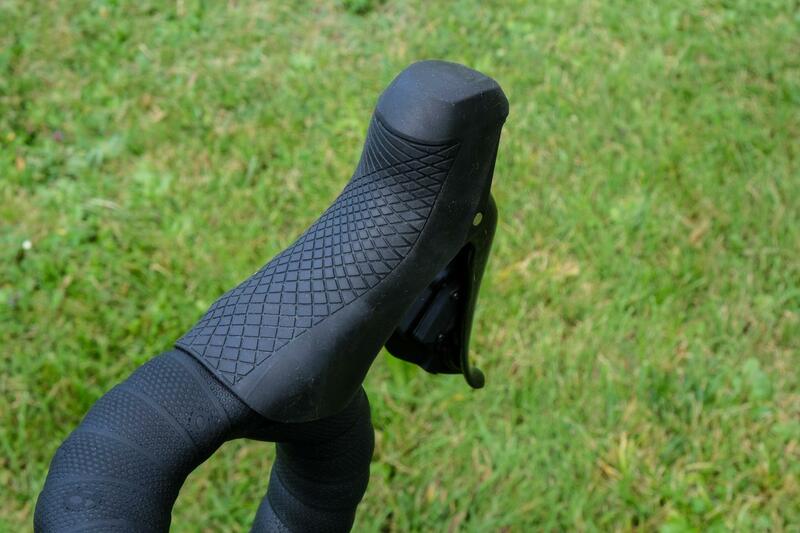 It's snappy and responsive when riding fast, relaxed and comfortable when cruising. The race bike DNA shines through in the way the bike easily changes direction and the steering responds swiftly to your inputs. You can place and position the bike with utter precision through the corners. It's a stiff bike, the front-end is on the firm side, a reminder of its race bike DNA, but there was never too much feedback. 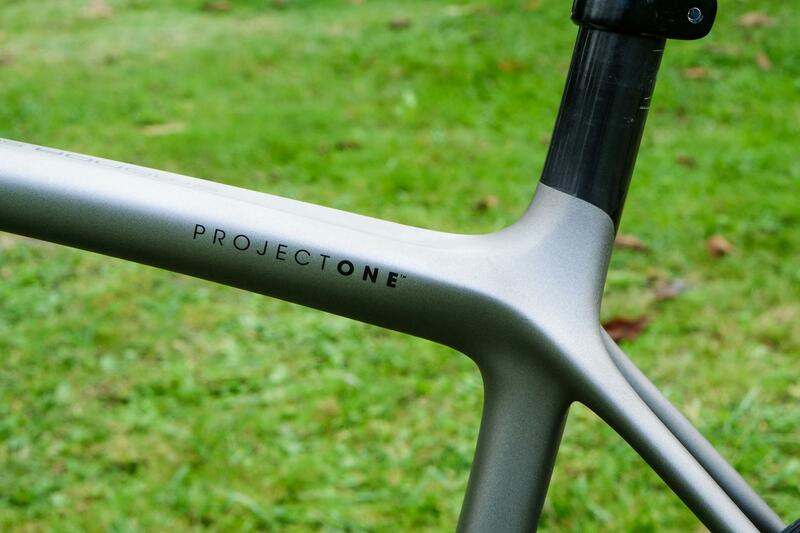 It's a reminder that this is a race bike if you want comfort that Domane might be the better bike for you. But that's not to say it's a harsh ride because it absolutely is not. 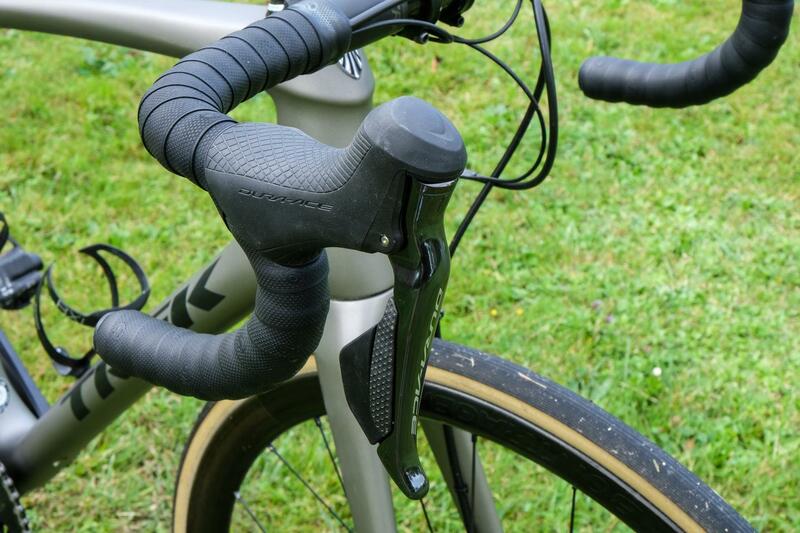 The Ride Tuned seatmast allows the saddle to deflect when the rear tyre encounters a bump in the road, and the clearance for wide tyres, with 28mm tyres fitted to this bike, ensures there's plenty of cushioning to smooth out the rougher roads. The disc brakes provide increased confidence when braking into corners, with plenty of power but ample modulation to ensure there was never any risk of inadvertently locking a wheel. And I could do all my braking with single fingers, leaving my arms and hands less fatigued. I had one eyebrow-raising moment on stage two while riding in the lead group which had been climbing for a while, we finally got some reward with a fast and fun descent. It was full of tightening hairpin bends, and all around me was the smell of melting carbon rims accompanied by a panicky screeching sound. 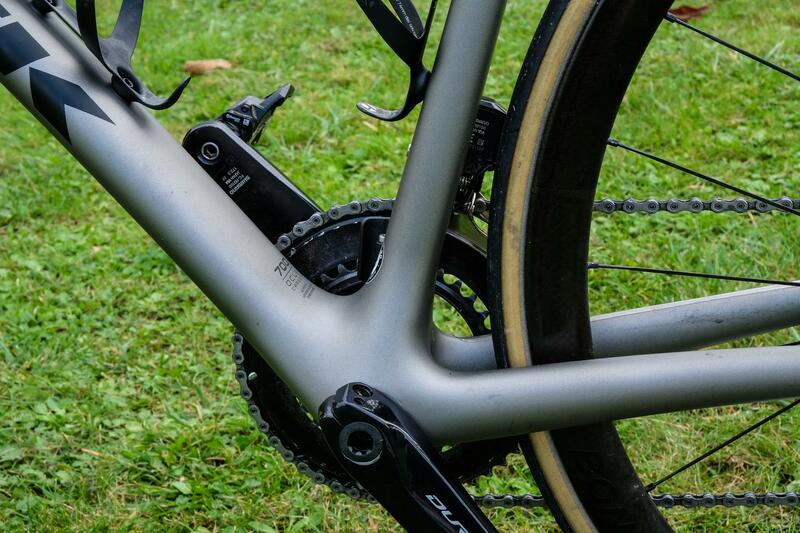 The disc brakes on the Emonda SLR were quiet and caused no fuss, and afforded an increase in control in such a frenetic situation. Coupled with the high frame and fork stiffness, no doubt increased through the use of large diameter thru-axles, and the Emonda SLR lithe and responsive when riding out of the saddle, rapid and surefooted on the fast valley roads, solid and engaging on the fast descents. This Project One build also gave me the chance to ride the brand new Dura-Ace R9170, Shimano's latest Di2 hydraulic disc brake groupset. 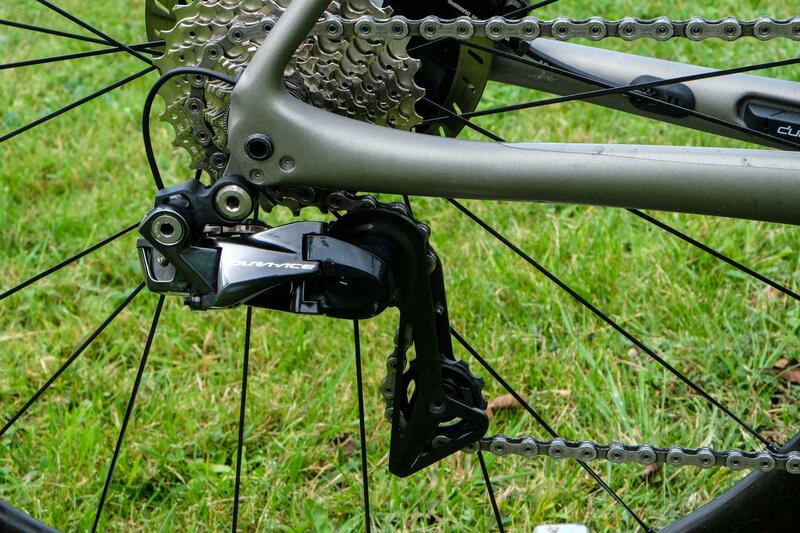 The shifting performance was utterly flawless, Syncro Shift is a delight on rolling terrain, the semi-synchro mode automatically adjusting the rear mech when changing between the big and small ring at the front. The brakes, as I've already covered in detail, were highly impressive. The new rotors (which look like something out of a sci-fi movie) dissipate heat and worked flawlessly. 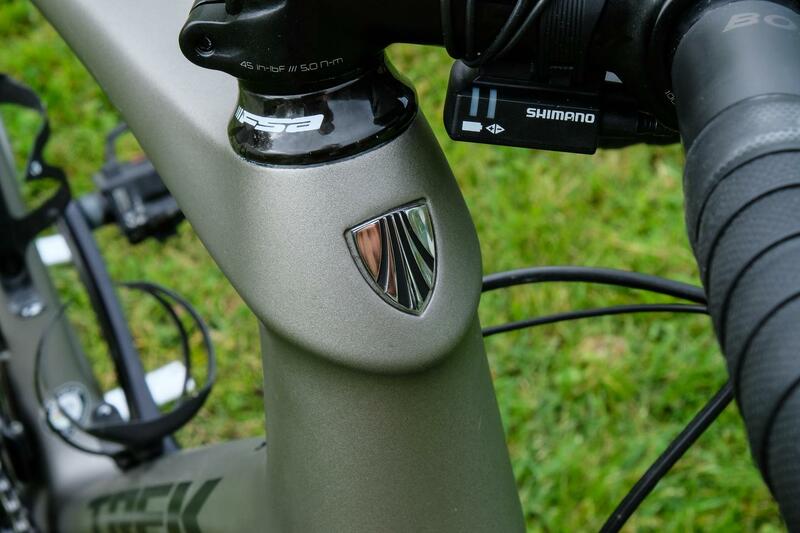 The brake levers are nicely shaped allowing easy one finger braking from the drops, and the hoods are small enough that you can easily wrap your hands around them. 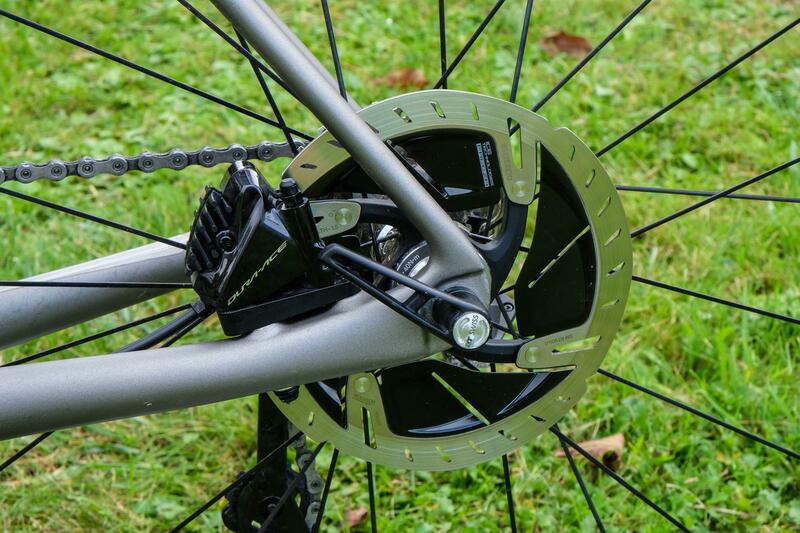 Disc brakes, of course, mean no compromise when it comes to wheel choice. 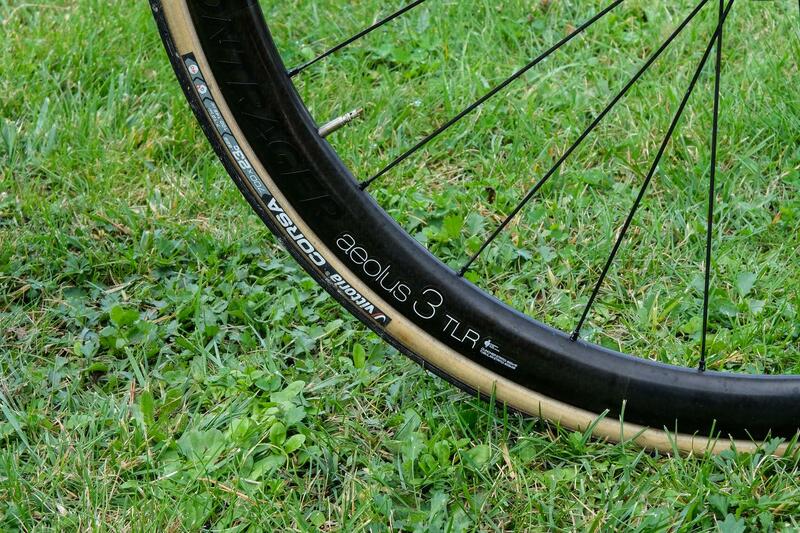 The Bontrager Aeolus 3.0 wheels are worth a mention. The full carbon rims are tubeless-ready and very wide (19.5mm internal) and the 35mm depth is a good choice for tackling mountainous terrain, keeping the weight low (claimed 1,454g) and dealing with strong winds nicely. 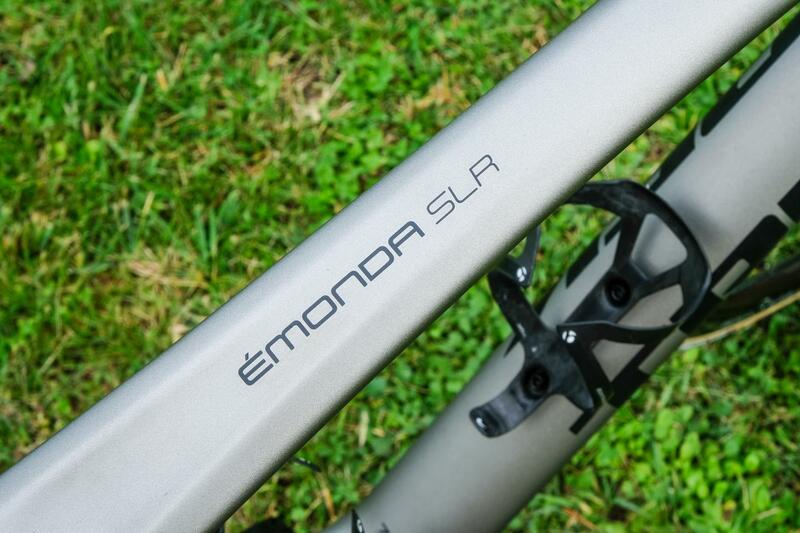 The Emonda SLR is available in H1 (aggressive) and H2 (relaxed) fits. I tested the latter but personally, I'd prefer to opt for an H1 fit, this is a race bike after-all and a performance-focused fit is part of the appeal of buying a race bike for me. 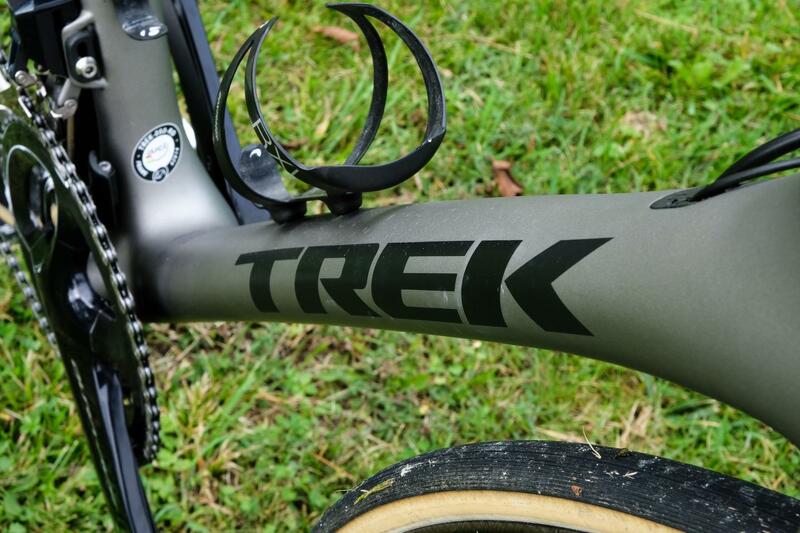 It's personal preference though and it is great that Trek offers the bike in both versions. My takeaway feeling about the new Emonda SLR Disc is that it's the first bike where you can truly enjoy the benefits of disc brakes with none of the previous downsides, and in fact, they only serve to enhance the performance of the bike, with more dependable braking all of the time.